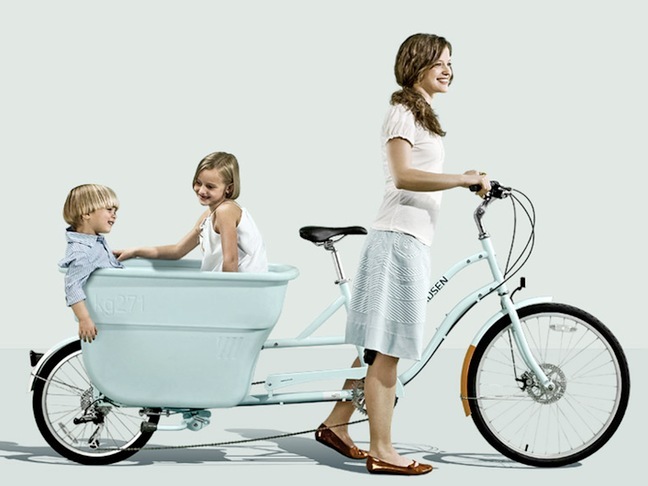 The Madsen cargo bike is designed to carry children and groceries, fitted with four seat-belts, all bolted in the back into a gigantic shell that is made out of the same materials they use to make white-water kayaks. If you’ve been looking for a bike to replace your car, this is it! 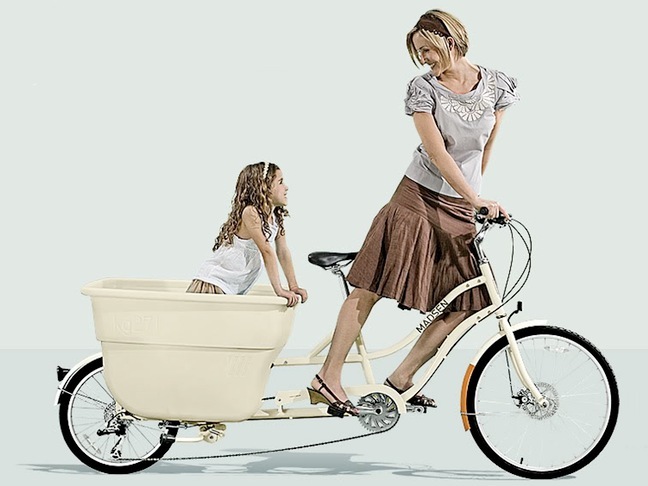 After hauling six neighbor kids around in a wheel barrow bucket bolted to the front of their first prototype, the guys behind Madsen started to realize what a bicycle could really do. Their production models have come a long way since that first prototype but their mission has stayed the same: a bicycle should do more. 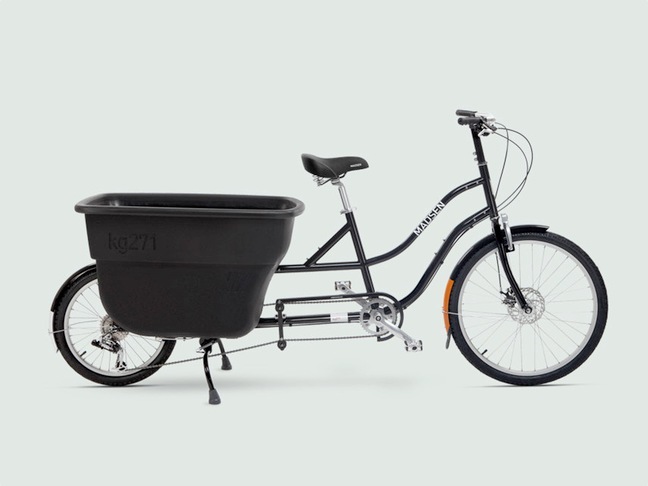 Pricing for the Madsen starts at $1,350, which includes a 40 gallon cargo/passenger bucket equipped with removable seating and seatbelts for four. Ships fully assembled and tuned. Visit the Madsen website for more information!